← Scorpions – Your Last Song. Savage Garden – A Thousand Words. Publicat pe 19 ianuarie 2015	de Cristi M.
Savage Garden was an Australian pop duo consisting of Darren Hayes as vocalist and Daniel Jones as instrumentalist. Formed inLogan City, Queensland in 1994, the duo achieved international success in the late 1990s and early 2000s with the number-one hit singles „I Want You”, „To the Moon and Back”, „Truly Madly Deeply”, „The Animal Song” and „I Knew I Loved You”. Their two studio albums, Savage Garden and Affirmation reached number-one in Australia and peaked in the top ten in both the United Kingdom and United States. The group won a record number of ten ARIA Music Awards in 1997 for their debut album and its related singles. They disbanded in 2001 and Hayes continued as a solo artist. 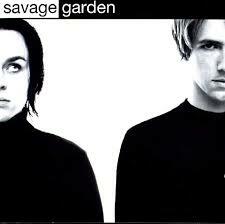 6 răspunsuri la Savage Garden – A Thousand Words. This is rock with a disco current. Very nice. Yeah, I thought it was a great change after a few months of pure rock of Scorpions. They were good. And I liked them but didn’t they, too, suffer the Milli Vanilli fate? I don’t think so, because I don’t know if they were envolved in a copyright lawsuit like Milli Vanilli and Daren Hayes has a very good solo carrier. Appreciate your informed clarification, Cristi! Hope you don’t mind, Eric.